The defender’s release is €36m and Ed Woodward wants him at Old Trafford. Manchester United were linked with a lot of players in the winter transfer window. The likes of Koulibaly and Skriniar were all linked with a move to Old Trafford. Gareth Bale and Philippe Coutinho were linked for a move as well. However, United didn’t sign any player in January transfer window. After the 2-0 and 2-1 defeat to Arsenal and Wolves, questions and concerns were raised once again against the United defenders. Recently they were linked with Varane. However, it seems Manchester United have found the cheaper alternative of Koulibaly and Varane. Manchester United are leading the way to sign Roma defender Konstantinos Manolas this summer. The Greek ace has been heavily linked with a move away from the Serie A outfit and almost completed a switch to the Middle East in January. 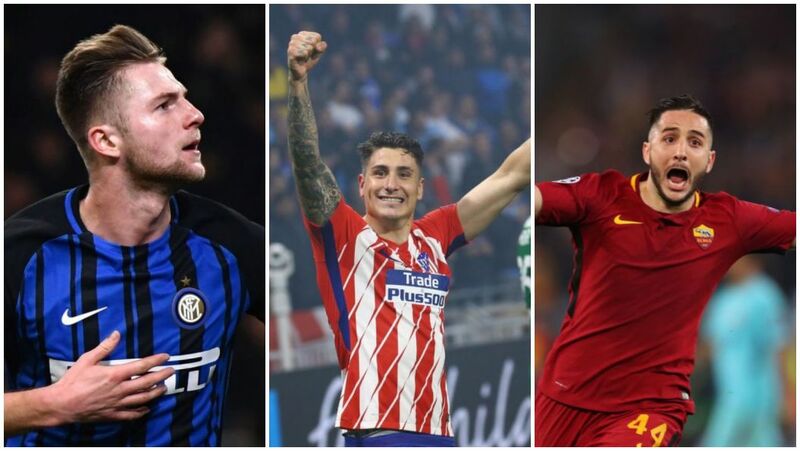 But despite staying in Roma beyond the winter window, it appears a host of names are ready to lure the unsettled star away from the Italian side. Atletico Madrid, Juventus and ‘all the big English clubs’ are vying for Manolas’ signature but it seems Manchester United are leading the race. Roma want to remove Kostas Manolas’ release clause from his contract in order to get more money out of his suitors, according to reports in Italy. The clubs are queuing up in the hope of triggering Manolas’ £31.5million release clause, with United having been linked with the former Olympiakos man for several months. Roma have failed to extend the 27-year-old Greek’s contract, which has a bargain £30.5million release clause. But talks have ‘not progressed’, with many clubs therefore interested in ‘one of the strongest power plants in circulation’ . 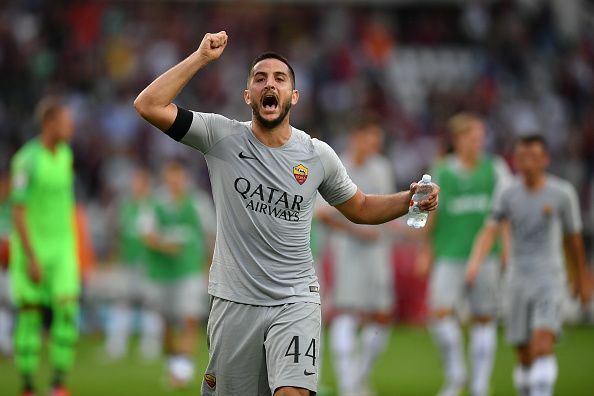 Manolas has previously stated his interest in both Real Madrid and Barcelona but may be offered a similar wage packet should he move to Old Trafford. United are desperate for a new central defender and will be pleased to hear Manolas only has a €36m (£30.8m) release clause. This is significantly cheaper than two of Ed Woodward’s other reported targets – Raphael Varane and Kalidou Koulibaly. The highly-rated defender has previously hinted at a move to a top European club, with Old Trafford being one of his preferred destinations.The centre-back, 27, is now in his fifth season in the Italian capital. Manolas has played for the club 197 times. Manolas may be the right man for the Old Trafford giants. However, they aren’t the sole club keen to sign the Greek International. The likes of Arsenal and Juventus are all keen to lure a defender and may fancy signing Manolas in summer. If United finish outside top 4 then they might lose the race to sign Manolas. England captain and Tottenham striker called Sterling as “Incredible”.